Lisa Teresi Harris is a Registered Dietitian and certified personal trainer with a specialty in senior fitness. She has a BS in Dietetics from UC Davis, a Masters in Foods and Nutrition from California State Polytechnic University, Pomona, and a certificate in Exercise Science/Fitness Instructor from UC San Diego. Ms. Harris lives with her husband, Terry, in Temecula, CA. 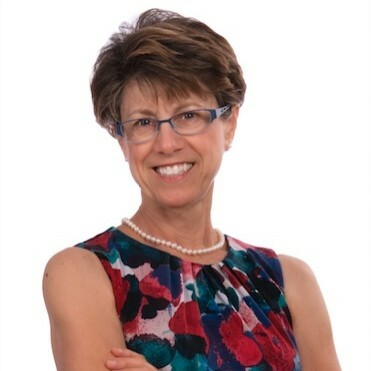 She has been a featured speaker with the Academy of Nutrition and Dietetics (formerly American Dietetic Association) and the Dairy Council of California, and locally with the Inland Empire Women's Business Center and Grace Mellman Community Library. A proud Baby Boomer, Ms. Harris started her business, Enduring Fitness 4U, in 2013. She provides individualized fitness training and nutrition coaching for folks over age 50, as well as exercise classes for older adults (Geri-Fit). Her freelance articles have been published in Shape Magazine, Men's Fitness, livestrong.com and the North County (San Diego) Times. When not busy walking or working out at the gym, Ms. Harris enjoys gardening, reading and playing with her two grandchildren. Find out more about Lisa Teresi Harris at http://enduringfitness4u.com.